It has been two years since the last presidential election and based on the ongoing midterm elections, we can conclude, once again, that when it comes to targeting Latinos, politicians just don’t get them. There are three suicidal mistakes that politicians and their advisors commonly make: 1) Ignore them. 2) Cluster them with other minorities. 3) Address immigration in a cynical way. In politics, there seem to be two basic fundamentals in how to ignore Latinos. The first one denotes an obvious lack of knowledge about the Latino community and rather focuses on general issues. The case in hand goes back to the 2012 presidential campaign when candidate Romney decided to focus all his efforts on economic issues, “hoping” that Latino voters might be willing to look beyond his hardline stance on immigration. His implausible efforts were proven futile as candidate Romney got a dismal 27 percent of the Latino vote, almost 20 percentage points down from Bush’s (44%) 2004 reelection. He also ignored Latino voters by avoiding speaking in front of them, logically so, his campaign ran merely 3,345 Spanish television spots (Obama ran 13,232). As expected, his spots lacked sensitivity to Latino issues and were identical, un-proofed, translations of English ads. In retrospect, Mitt Romney branded himself as a product for non-Hispanic white mainstream voters. His strength relied on a voting bloc that looked like him, unfortunately, that group is no longer big enough to send a candidate to the White House. He clustered all the minorities into one group, addressing them as whole and ignoring their own particular issues. It is very typical for political campaigns to have non-Latinos run their Latino advertising. The same marketing principles applied in the business world come pretty handy in politics. Some may argue that the cross-cultural marketing approach may work better when targeting a specific group; I recommend a multicultural marketing strategy. It focuses specifically on the group traits and not on demographic groups’ similarities as the former. When it comes to election time, both parties tend to bash on immigrants as a strategy to advance their political aspirations. Of course there are exceptions to the rule depending on the political playground and the morality of the players. Throwing immigrants under the bus has never been a good strategy as it was proven in the 2012 presidential campaign. If it did, President Romney would be leading the war on ISIS right now. In spite of its proven ineffectiveness, some political campaigns keep pounding Latinos like piñatas as desperation sets in. They’ve fixed their sight on the present. 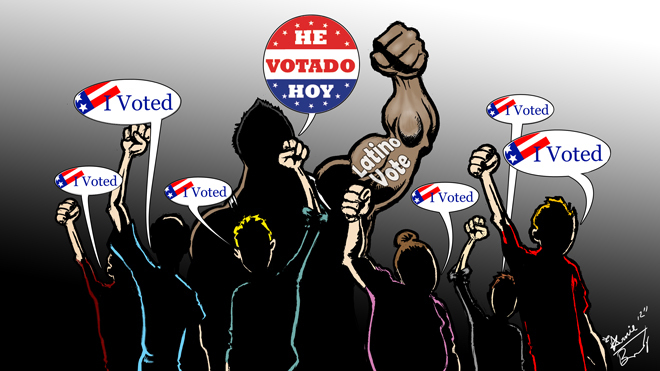 It doesn’t matter if 50,000 Latinos reach voting age every month, nor if the 21.3 million Latino registered voters will eventually awake from their voting lethargy. The future awaits a backlash against the parties and some candidates as a new era of activism has started and Latinos are organizing themselves as a solid voting bloc. A carefully tailored slogan relevant to the audience and a candidate’s face, in marketing, can be half of the winning battle. For this article I cited presidential elections to simplify the political mishaps that oft-occur when reaching out Latino voters. Local elections settings may vary in shape and form (i.e. allocating more resources in tight races, etc.) but the same marketing principles apply. Please email us for any consulting and marketing services. 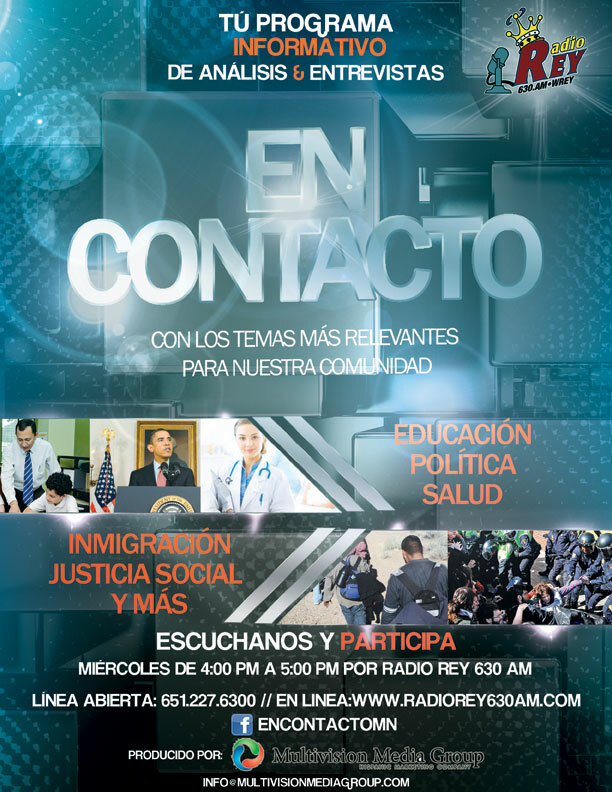 The most effective way to reach out to the Latino market, period!